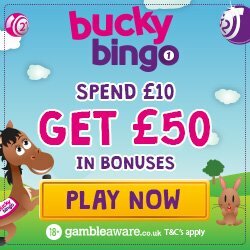 Unfortunately there is no promotional scheme available on Lollipop Bingo to assist us in advertising the site. As such we have provided you with an alternative called Smooth Bingo, which is an impressive gaming site offering a great choice for any type of player. Lollipop Bingo is a sweet and tasty addition to the world of online gaming and we at Place a Bet Online are eager to tell you all about them. This colourful and pretty delicious looking site is enough to get anyone’s mouth-watering, but it’s the games that will really have you drooling. Not only do you have 75 and 90 ball bingo, but there’s progressive jackpots, instant games and slots such as Fluffy Favourites and Shaman’s Dreams. For those of you who prefer to game on the go, you can access Lollipop Bingo through your mobile and tablet devices. This means that you can play incredible games whenever you choose, because there’s nothing better than a jackpot win when you’re on your lunch break. •	£5 for each friend referred when they wager £5. 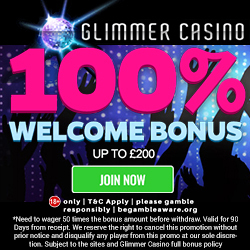 Your bonuses begin on Lollipop Bingo when you make your 1st deposit, because you’ll receive a 200% cash match bonus on £10. This means that you’ll have £20 extra, or a grand total of £30 to play with. As well as the bonus credit you’ll also receive the opportunity to spin the bonus wheel, where you’re guaranteed a prize between £5 and a whopping £2,500. To top it all off you’ll also get 7 days of complimentary bingo, from the moment you make your 1st deposit. Games are available everyday between 8pm and 11pm in the newbie room, with a prize pool of £3; so why not give it a go? Lollipop Bingo appreciate their regular players, which they show through their reload bonuses. Whenever you spend £10 or more you’ll receive a minimum 25% for every £10 deposited. This means you’ll have an extra £2.50 for every £10 added, making a total of £12.50. The percentage will increase as you move through the levels on their VIP Scheme. For those of you who enjoy the weekly promotions, you’ll find plenty on Lollipop Bingo. Whether it’s the chance of winning a takeaway on a Friday, throwing off the Monday blues on Monday Madness or getting the party started on the Weekend Wad. We’ve already mentioned how important loyalty is to Lollipop Bingo and nothing shows this more, then their VIP Scheme. You join the scheme the moment you register and as you play you’ll move through the 5 levels which include member, bronze, silver, gold and black. The more you play the higher the level and the better the rewards. Benefits include monthly cashback, a birthday bonus, surprise prizes and exclusive VIP Games. These are awarded by Lollipop Bingo on their chat games and some of the exclusive promotions. The points can be redeemed for additional gaming credit, with 1,000 points equating to £1 in bonus funds. Who doesn’t love a gab with your mates or the chance to meet new people online? The Lollipop Bingo chat rooms are the perfect place, because you have games to enjoy and the chat host will ensure everyone has a good time; plus you never know what you could win! If you love to share the sweetness with your friends, then make sure you tell them about Lollipop Bingo. 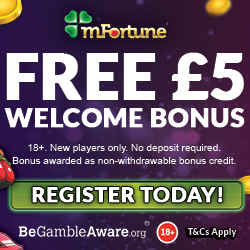 For each friend you refer who registers and wagers a minimum £5, you’ll collect £5 in extra bonus credit. Unlike many other sites Lollipop Bingo have chosen not to have a limit on the number of people you refer, so get texting your friends now and you’ll enjoy lots of extra gaming time. Should you require any support, you can contact a representaive via email or telephone and they aim to respond as soon as possible. If you’re ready to claim that satisfying welcome bonus and spin the wheel, then head over to Lollipop Bingo to register.